Girl pop is in its prime right now, with singer-songwriters such as Taylor Swift, Ellie Goulding and Meghan Trainor dominating the charts in the US and Europe alike. Part of the Curtcircuit 15 festival, Femení Singular – Pop Queens brings together seven great (and very different) female acts, showcasing quality music from across the pop genre. Through mostly based in Barcelona, the lineup is an international one, including upbeat indie-pop from Uruguayan-British Marion Harper and the dreamy, whimsical tunes of American Maïa Vidal. Joana Serrat hails from Vic but writes easy-listening folk-pop inspired by the American Midwest, while Mallorcan Maika Makovski, who has Andalusian and Macedonian roots, is known for her catchy pop-rock. 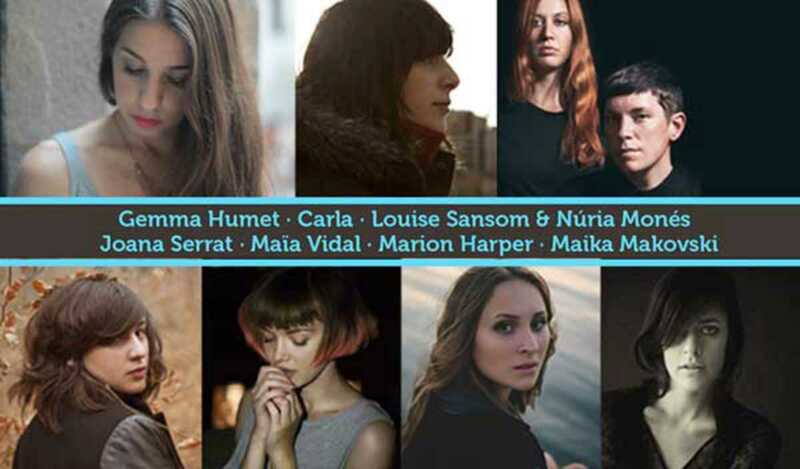 Also featuring Gemma Humet, Carla and Louise Sansom and Núria Monés from Catalan band Anímic, Femení Singular is a chance to discover some of the most exciting music currently coming out of Barcelona - and proof that pop is no longer a dirty word.